New Delhi: Maize production in India has seen a boom in recent years which has been possible due to increase in area as well as productivity. 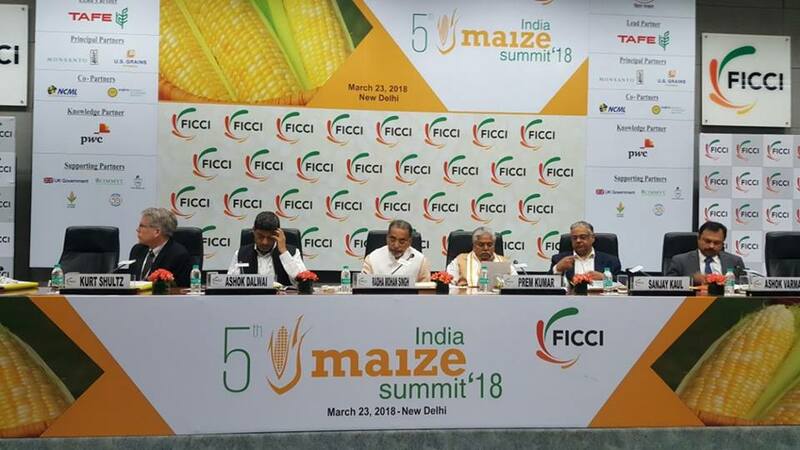 This was stated by the Union Minister of Agriculture and Farmers’ Welfare Shri Radha Mohan Singh at the inaugural event of the 5th India Maize Summit 2018 at FICCI, New Delhi. Delivering the inaugural address, Shri Singh said that during 1950-51, India produced only 1.73 MT, which has reached 25.89 MT in 2016-17 and is expected to cross 27 MT in 2017-18. This The average productivity in India is 2.43 ton/ha. The Agriculture Minister said that after looking at the foodgrain demand and consumer choice in the global arena, it is well-known that Maize is highly preferred in most countries, including developing countries like India. In India, Maize is the third most important foodgrain after wheat and rice. The four states, namely Madhya Pradesh, Andhra Pradesh, Karnataka and Rajasthan account for more than half of the total maize production. Currently, India is among the top five exporters of Maize worldwide. Despite that, only 25% of India’s population uses it as a food crop. Area under hybrid varieties is increasing thereby leading to improved nutrition and availability of low-cost high quality food. This has resulted in demand increasing at a much faster pace. He said the presence of poultry and starch industry in this Summit signifies that there is a serious demand for maize in the country. Congratulating FICCI and PwC (PricewaterhouseCoopers) for coming up with a Knowledge Report on Maize Vision 2022, the Minister expressed happiness over the two bodies thinking on the lines of achieving the Government’s vision of doubling farmers’ income by 2022. He lauded the efforts of FICCI in bringing the entire Maize fraternity under one roof. He suggested that Maize agribusiness companies should make special efforts to explore various opportunities in agri-marketing. 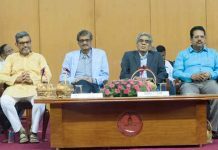 The Minister said only 15% of cultivated area of Maize in India is irrigated and therefore it is necessary to have adequate irrigation facilities for its cultivation so that the production, productivity and quality of Maize improves. He informed that the ICAR-Indian Institute of Maize Research (IIMR), Ludhiana has been mandated to carry out basic, strategic and applied research aimed at enhancing production, productivity and sustainability of Maize. Shri Singh further added that the Government is promoting maize cultivation in 265 districts across 28 states by providing necessary financial assistance through various interventions. Since 2015-16, the mission is being implemented on 60:40 sharing pattern between the Centre and State governments and on 90:10 sharing pattern between the Centre and Northeastern & 3 Hill States. Maize, he said, offers a huge potential for internal consumption as well as export.